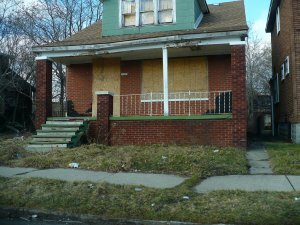 Owning a vacant house can pose serious liabilities due to the fact that vacant properties are an obvious target for theft, trespassing, and vandalism. Furthermore, vacant properties are also more susceptible to undetected damages, such as fire, water damage, mold, wind or hail damage and other losses. According to a study performed by the U.S. Fire Administration, approximately 28,000 fires occur each year in vacant properties, making direct property damage of around $900 million. Owning an uninhabited property is for sure a financial burden, without any upside, due to maintenance costs, property taxes, insurance and, HOA fees and most of the time due to mortgage payments. Water damage is one of the most common issues when owning a vacant property. A broken pipe or faucet can cause a lot of damage both to the house structure and to the walls and floors finishes, and the list can continue with the furniture, carpets, etc. Water could run for an extended period of time without anyone even realizing it. You could find out only when you receive the next water bill when the damage could be in the hundreds or thousands of dollars depending on where the water leaks are and for how long it has run undetected. Landscaping has to be maintained not to upset neighbors and more important, in order to avoid fines from local code enforcement authorities; leading to regular landscaping fees which add up rapidly. HOA fees have to be paid whether or not the home is being inhabited or not. These fees cover payments for the repair, maintenance, amenities and upkeep of all areas of the property that are owned collectively. Some HOA fees can be very high, they typically fall somewhere in the mid-hundreds of dollars per month, depending on the community. HOA also have the authority to impose, and collect, fines for violations such as untended lawn, or papers and correspondence piling up at your front door, etc. Keep in mind that HOA’s can initiate a lawsuit, place a lien on the property, and even foreclose on the owner’s property to collect the delinquent payments, so no escape here. Home insurance companies have specific rules about how long a home can be unoccupied. If you leave a property vacant for more than 30 or 60 days (depending on the policy) the insurance will be cancelled or an endorsement is going to be required; this is mainly due to the fact that whenever a house is empty, the property is at a higher risk for damage. In case the house has been vacant for more than the time specified in the contract the entire policy becomes void and you will not be covered for any damage, not even fire or windstorm. Insurance policies that provide coverage for uninhabited properties can be 2 to 5 times more expensive than regular insurance policies due to the higher risks associated with owning a vacant house. This can add up to thousands of dollars in additional costs each year. The insurance company will also ask you to pay higher deductibles in case of a claim. Furthermore, there is usually a requirement to inspect the unoccupied property regularly so your insurance does not get voided. A large number of unoccupied properties in Fort Collins are vandalized every year. This can be from break-ins, theft, trespassing or squatting or even the common broken window. One of the major exposures facing vacant property is theft. A common target for theft is the HVAC system which is also very expensive to replace. They will destroy a $5,000 unit to sell $10 worth of copper. Homeowners on average spend more than a third of their gross income on one house payment, so most of us do not have the necessary income and savings required to make two house payments. As demonstrated above leaving your house unoccupied is far from your best option. You have other options two of the most common ones: you can lease the property or you can sell it. If you are more inclined to sell the property don’t worry about the time and resources needed to sell a house on the retail market especially if you’re out of state. You can avoid the long wait that’s common when selling a vacant property by selling it to a cash home buyer. At NoCo House Buyers Inc we buy vacant houses and work with homeowners so they can sell their house fast and hassle-free. To sell your vacant property in Fort Collins fast, you can call us at (970) 744-4944. You can also fill out this form and we’ll get back to you within 24 hours.